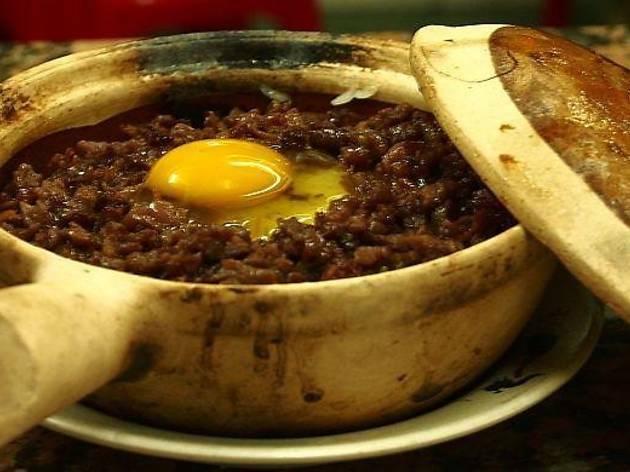 This unpretentious eatery inside Aldrich Bay Cooked Food Centre is known for its excellent claypot rice, complete with those sticky bits that everyone tries to grab first. 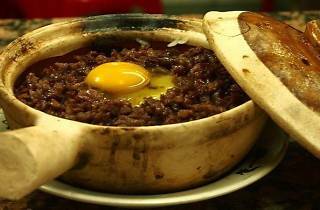 Order your rice with everything from goose liver or mushrooms to chicken, fish, or beef with an egg on top of course. There are no english menus but it should be easy enough to communicate what you need.